Hello from Sweden, I registered here just for a question since these atvs are not very common i Sweden and its hard to find answers. 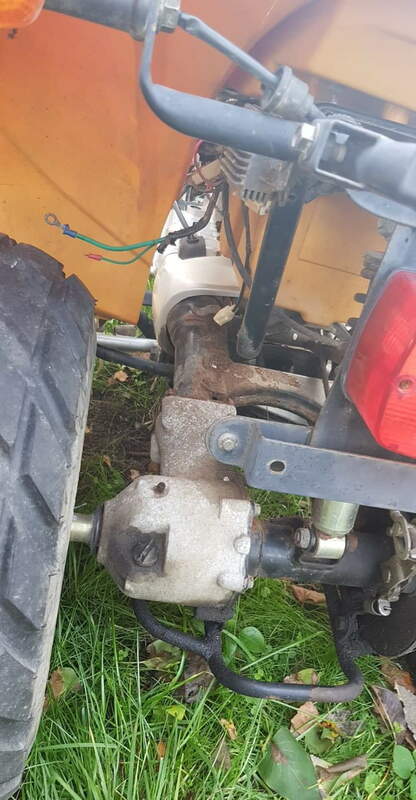 I have a Yamaha yfm100 Champ 1991 that has a defective rear axle like so many others. I'm trying to find a new or used rear axle complete with swingarm. During my search I have seen some Chinese atv that have a very similar rear axle and swing arm. Has anyone here tried one of these on a Yamaha? Are they similar inside also with drives etc? Have found one at a reasonable price but would like to confirm that it fits. Is it also correct that this is the same rear axle as on Badger 80 and Raptor 80? Its the one with oil in the diffrential and not grease like the old ones. Checked some part numbers and looks like the Raptor 80 is the same axle. I found out recently that a Taiwanese or possibly Chinese bike is identical to the Raptor, but can't remember which one. Have a feeling it was Eton. If so, parts won't be available from them as the factory closed in 2013. Someone else bought the Eton name. Thanks for answer, tried to look for used Eton in Sweden with no luck. It seems like all these Chinese/Taiwanese machines are sold under a lot of different names but with the same parts. Its a bit sad that the Yamahas have this issue with the rear axle, the machines have much more to give. Very few children's Quads have a shaft drive to the rear axle, so you must stand a good chance of it being a Yamaha clone. any idea what make it is? 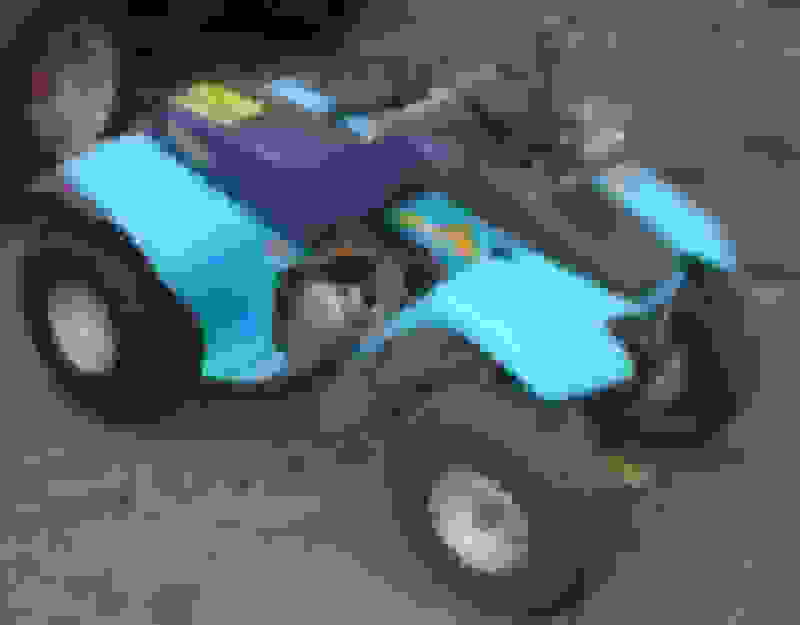 I have not picked it up yet but i´m pretty sure its called loncin lx110 atv. At least in Sweden/Europe. Fingers crossed that it works! When (if) its a clone, is the quality equal to original? Is it made in the exakt same way and material? I had a Suzuki LT50 clone before and also a PW50 clone and they both felt very solid. Bought original parts that fit with no problem, the only thing that was different was the carburetor as far as I know. Have you considered repair, rather than replacement of your rear axle? What is wrong with the shaft? This is a well-made quad, with unusual shaft drive. When I bought it a few months ago previous owner had taken the rear end off and everything was in pieces with some rust on and parts missing. Would cost more than I think its worth to fix the old one. Loncin are well known Honda engine cloners, so it is a bit odd if they went for shaft drive, as small Honda Quads are chain drive. Loncin engines are regarded as very good copies of the Honda, so if they have copied the Yam back end, it should be a good one. Just had a little set back, went out to check the oil level in the chinese rear axle and it was grease on the stick. I can just think of two possible reasons. Either the manufacturer used grease in stead of oil or previous owner "fixed" leaking by draining the oil and fill up with grease. What do you think? The axle is identical to my other champs original axle with a oil drain plug under and a oil level stick on the top plug. if its made by previous owner, how can i get the grease out to fill with oil again? How bad is it to drive with grease if it should be oil? It will not drive many miles in a year.